October 3, 2018 – The father-and-son team of endocrinologist Saleh I. Khaddash, MD, and cardiologist Ibrahim S. Khaddash, MD, has joined the Englewood Health Physician Network, welcoming new patients to their Clifton location. As members of the network’s Heart and Vascular Associates of Northern Jersey practice, Drs. Khaddash and Khaddash now offer patients a more integrated care experience through greater collaboration and care coordination with other Englewood Health specialists. Dr. Saleh Khaddash is board certified in endocrinology, diabetes and metabolism, and internal medicine and specializes in the treatment of endocrine system disorders and metabolic disorders. His clinical interests include diabetes, hormonal disorders, thyroid disease, metabolic bone disease (such as osteoporosis), and internal medicine. Dr. Khaddash received his MD from the University of Jordan School of Medicine, Amman, Jordan, and completed his internal medicine residency and a neurology fellowship at Jordan University Hospital and Hamad General Hospital, Qatar. He also did an internal medicine residency at St. Joseph’s Regional Medical Center, in Paterson, followed by an endocrinology fellowship at St. Michael’s Medical Center in Newark. A member of the American Association of Clinical Endocrinologists, the National Arab American Medical Association, the Jordan Medical Association, and the American Diabetes Association, Dr. Khaddash has been practicing medicine in Clifton for more than 20 years. In addition to English, he is fluent in Arabic. Last summer, he was joined in practice by his son, Ibrahim, a board-certified cardiologist. 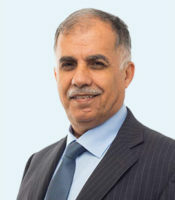 Dr. Ibrahim Khaddash is board certified in internal medicine and cardiovascular disease, with additional certifications in adult comprehensive echocardiography, nuclear cardiology, and vascular interpretation. He diagnoses and treats all forms of adult heart disease and is committed to cardiovascular disease prevention. His clinical interests include arrhythmias, coronary artery disease, hypertension, heart failure, and diabetes-related heart disease. 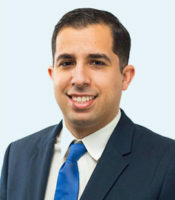 Dr. Khaddash received his MD from Ross University School of Medicine and did his residency in internal medicine, followed by a fellowship in cardiovascular disease at St. Joseph’s Regional Medical Center. He is a member of the National Arab American Medical Association. In addition to English, he is fluent in Arabic. The team offers a range of diagnostic testing for endocrine disorders, including thyroid ultrasound and biopsy, and for cardiovascular disease, including stress testing, echocardiography, EKG, Holter monitoring, and vascular testing. Dr. Khaddash and Dr. Khaddash see patients at Heart and Vascular Associates of Northern Jersey, 969 Paulison Ave., in Clifton. The staff speak multiple languages, and the practice accepts a full range of insurance plans. To reach either Dr. Saleh Khaddash or Dr. Ibrahim Khaddash, or to find an Englewood Health physician, visit englewoodhealthphysicians.org or call 833-234-2234.